Gorgeous Heights Home in Fantastic Location! Property 4: Gorgeous Heights Home in Fantastic Location! 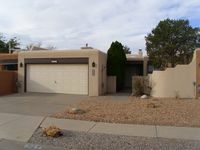 Beautiful Family Friendly Town home nestled in the NE Heights of Albuquerque. Property 11: Beautiful Family Friendly Town home nestled in the NE Heights of Albuquerque. Super Cute Town Home Near Old Town!!! Property 12: Super Cute Town Home Near Old Town!!! Hidden treasure oasis, Chefs kitchen, two living areas, garage, lots of parking! Property 14: Hidden treasure oasis, Chefs kitchen, two living areas, garage, lots of parking! Property 16: Southwest Old Town Townhouse! Property 17: Sandia Foothills Get Away - Mountain One Block Away! Short term stay available! Downtown Townhome with incredible views. Walk to everything! Property 19: Downtown Townhome with incredible views. Walk to everything! Beautiful, great location, and overall a wonderful place to stay!